R.E.B.E.L. EM stands for Rezaie’s Evidence Based Evaluation of Literature in Emergency Medicine. Salim Rezaie is Clinical Assistant Professor, Emergency Medicine & Internal Medicine University of Texas Health Science Centre at San Antonio. 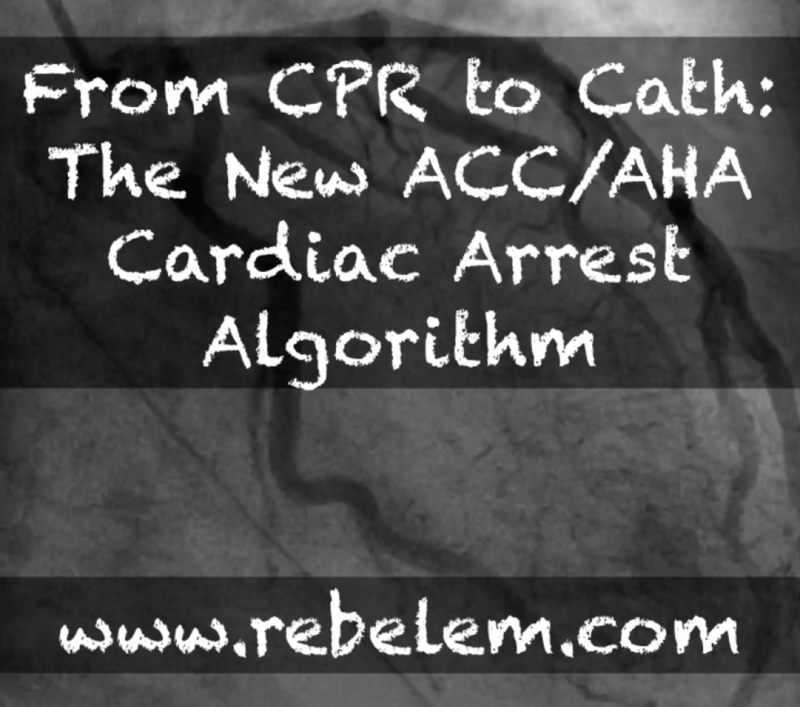 In a guest post the REBEL EM crew discuss the the new guidelines from the American College of Cardiology/American Heart Association on cardiac cath after arrest. These were recently published online ahead of print: J Am Coll Cardiol. 2015;66(1):62-73. doi:10.1016/j.jacc.2015.05.009. As ever in the #FOAMed world you have to remember context of the material you are reading. This is obviously produced for the US health system, and as such some aspects may not translate directly into UK practice. 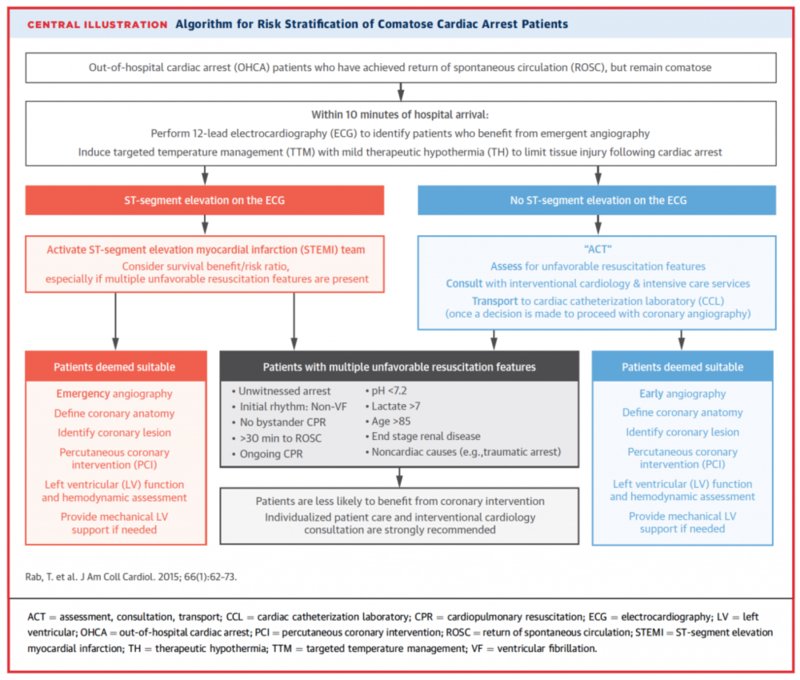 It is however an excellent summary of the evidence around cardiac cath after OOHCA. Familiarity with the evidence is essential if we are to advocate for the best possible care for our patients.